Greenpeace was concerned about lobbying by Volkswagen against greenhouse gas reductions in Europe. When VW launched a Star Wars-themed ad campaign last year, the charity spotted an opportunity to take its concerns to a wider audience. To gain signatures for a petition urging VW to change its environmental policies. Greenpeace decided to piggyback on the success of VW's ad and reach the same 35- to 45-year-old demographic through social media, particularly YouTube. It created a video parody of the VW ad and launched it by holding a stunt in Old Street, known for having a high concentration of Tweeters and creative and PR agencies. 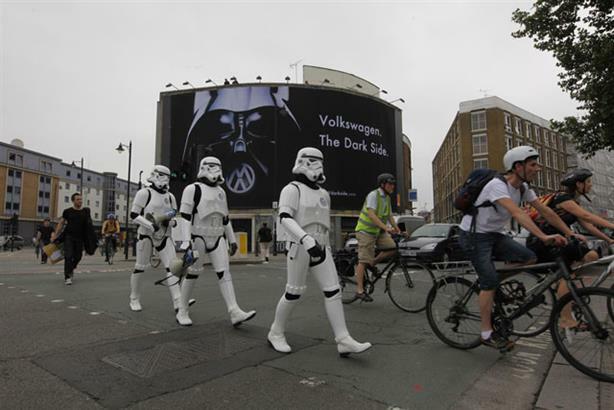 It took over prominent billboards and had Star Wars stormtroopers wandering the streets. The campaign ranked third on Twitter's top ten trend list when the parody film was released. Seven per cent of 2,000 respondents to PRWeek/OnePoll's Reputation Survey were aware of Greenpeace's campaign, but of these 60 per cent said they now trusted VW less as a brand. The campaign attracted 330,000 signatures, the most for any Greenpeace campaign.